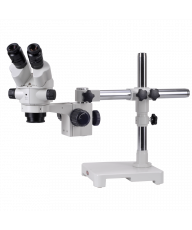 The Motic SFC11 Educational series stereo microscopes combine sharp optics and bright illumination in an ergonomic layout for extended periods of comfortable use. The economical, rugged design is maintenance-free and built for rough-and-tumble school environments. Precison optics offer a crisp, three-dimensional, upright image suitable for a wide range of educational and technical applications from biological dissection, to printed circuit board inspection, to archaeological studies. 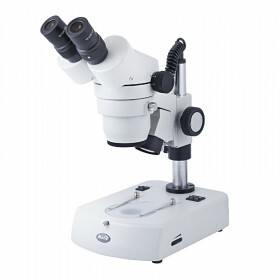 The binocular head is inclined 45 degrees, rotates 360 degrees and features Super Widefield 10X eyepieces with 55mm-75mm of interpupillary adjustment and dioptric adjustment on the left ocular. The dual-power turret objective is available in 10X-20X, 10X-30X or 20X-40X magnification and offers 95mm (3.75") of working distance. Dual coarse focus controls are conveniently positioned and feature tension adjustment for responsive and controlled movement. 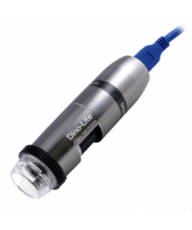 Lighting is controlled by variable intensity 12V/15W incident and 12V/10W transmitted halogen illumination. The N2GG base with vertical post and focus block provides excellent stability despite its small footprint and comes with black/white and frosted glass stage plates and 2 spring clips. 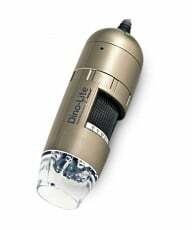 Accessories include a blue filter, manual and dust cover. 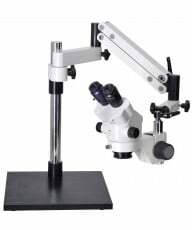 The Motic SFC11 Educational series stereo microscope combines sharp optics and bright illumination in an ergonomic layout for extended periods of comfortable use. The economical, rugged design is maintenance-free and built for rough-and-tumble school environments. 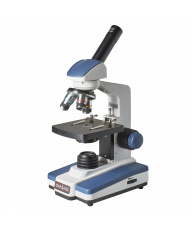 Precison optics offer a crisp, three-dimensional, upright image suitable for a wide range of educational and technical applications from biological dissection, to printed circuit board inspection, to archaeological studies. 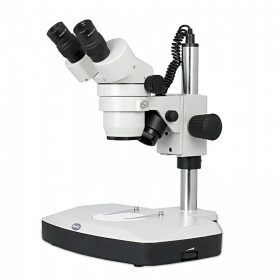 The binocular head is inclined 45 degrees, rotates 360 degrees and features Widefield 10X eyepieces with 55mm-75mm of interpupillary adjustment and dioptric adjustment on the left ocular. The dual-power turret objective is available in 10X-20X, 10X-30X or 20X-40X magnification and offers 95mm (3.75") of working distance.